If You Are Not Careful, You Could Lose Your Tax Refund By Filing Bankruptcy! It's a new year, and the W-2s and 1099s are coming in, so it is time to start working on your tax return, especially if you think you are entitled to a refund. If you are contemplating bankruptcy at the same time, however, you should be mindful of the amount and be aware that it is considered an asset of your bankrupt estate. If you are not careful, you could lose it! Refunds Exist Now, Not When You File the Return! Refunds occur during the tax year, not when you file your tax return, so do not think that if you file your return after you file your bankruptcy you are safe. Trustees are onto that ploy, especially at this time of year, and will ask you during your meeting with him/her whether you have filed your return yet, if you anticipate a refund and, if so, how much. I even had a colleague tell me recently of a client of hers who filed in November of 2009, and at the meeting with the trustee the following January, had the trustee asking for 11/12ths of the refund (i.e. the amount that had accrued prior to the bankruptcy filing). Too Much of a Payroll Tax Deduction is Not a Savings Plan! it comes back to you as one lump asset when you are filing bankruptcy, instead of wages over time, which can create a very different situation. You have been counting on your refund to do all sorts of things in your life, and counting on bankruptcy to get you back on your feet financially. 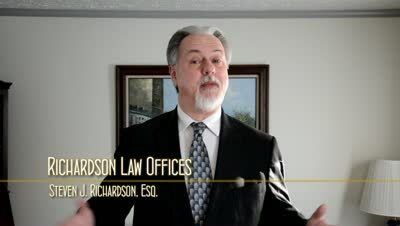 It is therefore extremely important for you to tell your attorney about all of your assets when preparing your petition. Not doing so can cause you all sorts of problems. Doing so can allow the attorney to analyze your situation properly, properly apply all exemptions to protect it, and maximize your chances of getting a fresh start while (hopefully) keeping all of your refund.